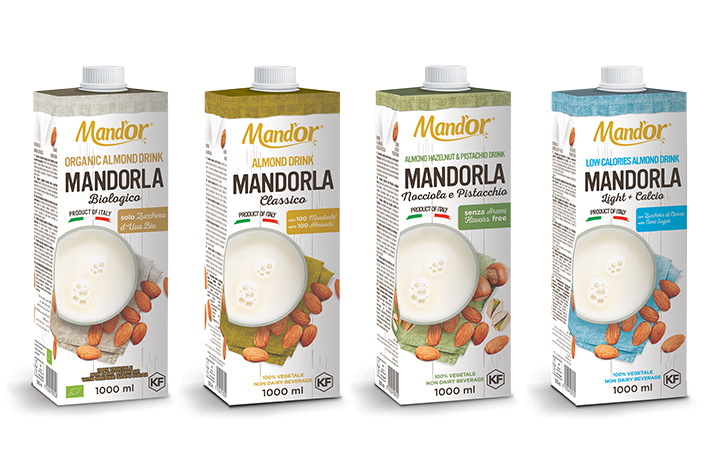 Mand’Or Almond Milk is a Brand of the leading Italian confectionery Company POLI.COM S.r.l. It is a blend of rich, delicious Italian almonds and it is made from a traditional Italian recipe ready to be enjoyed at any time of the day. Enjoy it for breakfast, as an extra touch to your recipes, or as a lactose Free version of your coffee or cappuccino. Mand’Or Almond Milk is Lactose, Soy and Gluten Free, and does not contain any cholesterol or preservatives. Mand’Or Almond Milk is 100% Made In Italy from the finest ingredients. Londou Trading became the exclusive distributor of Mand’Or in 2016 and since then imports and distributes Mand’Or products with great success in the Cyprus retail and Ho.Re.Ca Market.